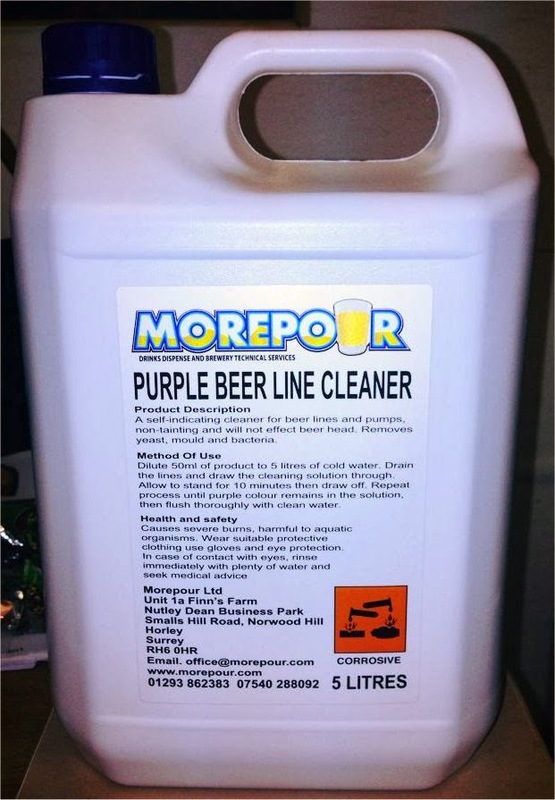 Morepour purple beer line cleaner now available for delivery or collection. 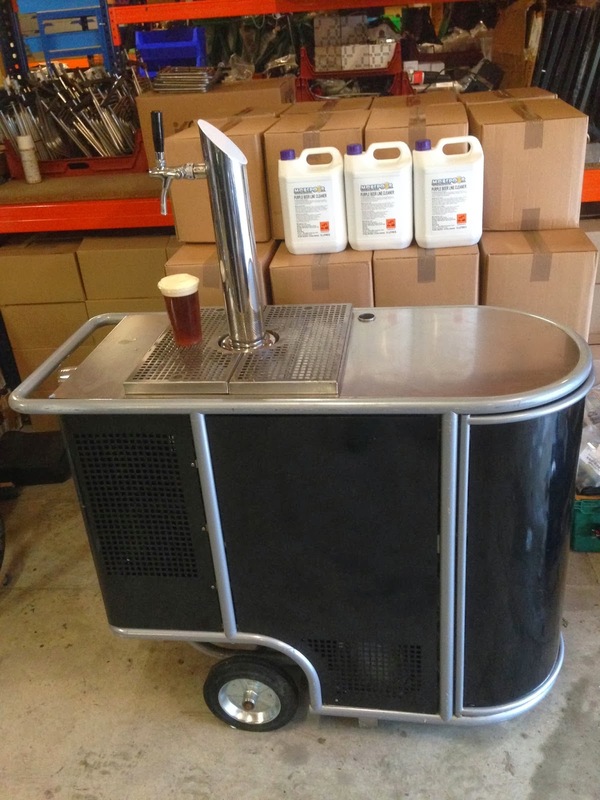 A self-indicating cleaner for beer lines and pumps, non-tainting and will not effect beer head. Removes yeast, mould and bacteria. Dilute 50ml of product to 5 litres of cold water. Drain the lines and draw the the cleaning solution through. Allow to stand for 10 minutes then draw off. Repeat process until purple colour remains in the solution, then flush thoroughly with clean water. Portable caddy bar hire now available from us, hire on its own or complete with disposable glasses and a keg or kegs of your choice. 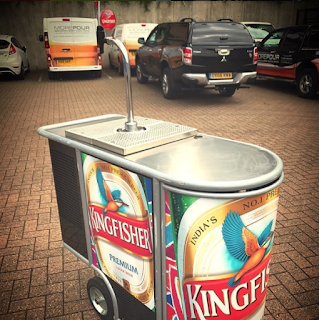 Can easily fit up to a 50 litre (11 gallon) keg or 30ltr keykeg and gas bottle inside the unit to dispense ice cold wine or beer at your event. 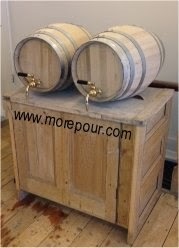 Another custom dispenser by us, used to dispense bag in box wines. The wine boxes and dispense equipment are kept in the cupboard below. The pipe work to the barrels is concealed underneath.